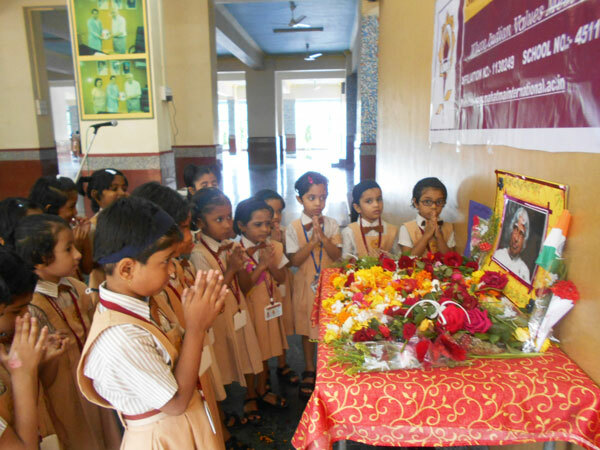 On Thursday, 30th July 2015, Dy. C.E.O. 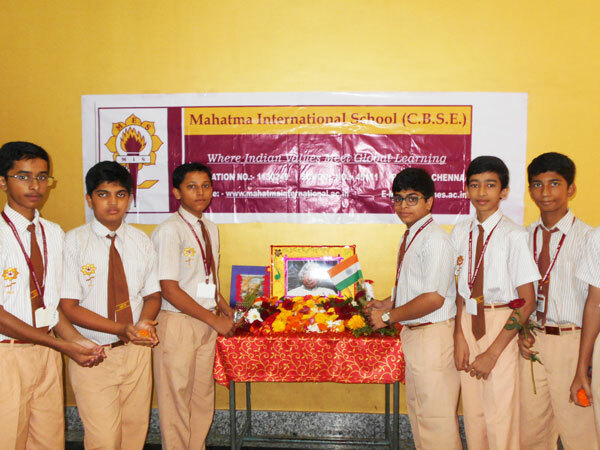 Mr. A. L. Tripathi, Principal, Ms. Beena Thambi, the entire staff and students of Mahatma International School [C.B.S.E.] 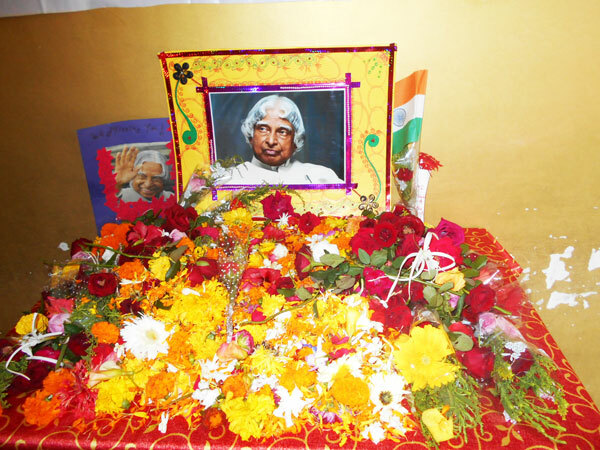 paid homage to Ex. 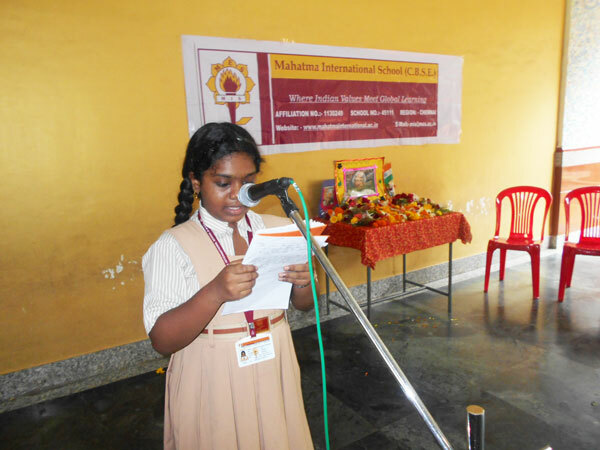 President, Dr. A.P.J. 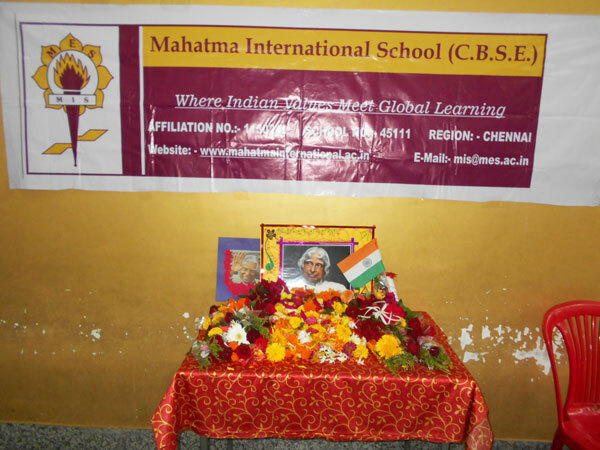 Abdul Kalam. 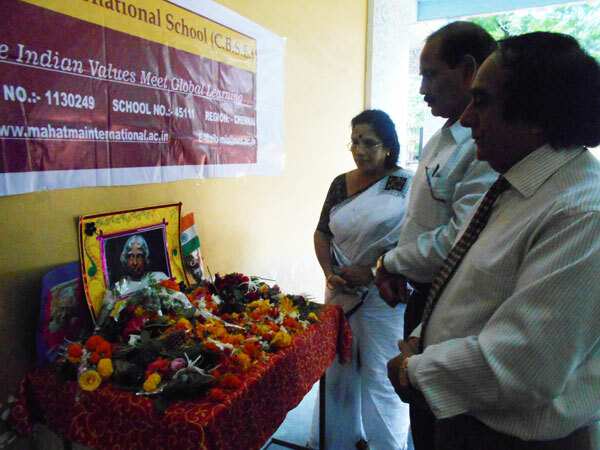 Students bowed deeply and placed flowers in front of Dr. A.P.J. 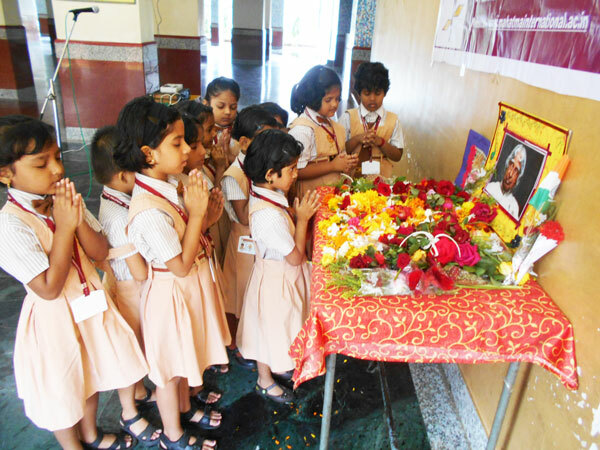 Abdul Kalam’s photo. There was silence and sadness in the eyes of everyone who stood in front of the great soul. It was not only a loss for the entire nation but also for entire humanity.